As the perfect companion for work and play, the 2017 Ford F-150 Raptor in El Paso is one powerful and versatile truck. If you drop by a Ford dealership in El Paso, you can take a sneak peek and be amazed at the multitude of top notch features. 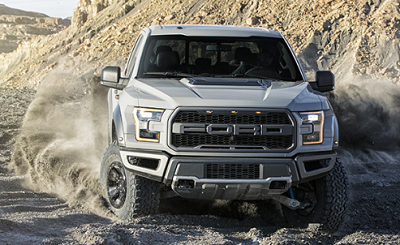 This year’s much-awaited return will now have an all-aluminum body, increasing its strength while being able to cut down at least 500 lbs from the F-150 Raptor’s curb weight. With a generous ground clearance, you can expect this truck to traverse the toughest terrains without breaking a sweat. This entry was posted in Business on October 7, 2016 by Domingo.